Living here has had it's ups and downs. Elevator and trash facilities are often broken. Maintenance is quick to fix problems. Location is ideal for getting to campus quickly. I wish the trash rooms were kept cleaner. I realize that it's partially the responsibility of the residents, but there's only so much you can do when the chute hatch isn't working properly. Other than that, no complaints. Thank you for choosing us as your home and for taking the time to share your opinion with our future residents. You may contact our management office directly at 502.632.3699 or send us an email at nineliving@achliving.com to share your concerns with us so we can address them immediately. It has been good so far. The pool is really nice and so is the workout room. That is probably my favorite part about it. The rooms are nice as well except for when you have dirty roomates. Only thing I do not like is how the doors dont come all the way down to the groud so light can peek into your room. Hi Dwayne, The pool is going to be so awesome this year when we open in May! Happy to hear you love our fitness room too. 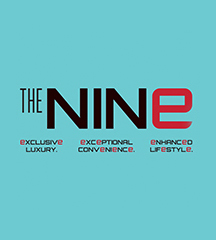 Submit a maintenance request through The Nine website online for you door, and we will come take a look at your door for ya. Feel free to contact us anytime by phone 502.632.3699 or by email nineliving@achliving.com. The staff are nice and the apartments have a great location close to campus. The management isn’t great, but better than some of the other off-campus hosing options. The location is the best reason to stay here. Hello Dustin, It was great speaking with you today! We care about our residents and want to hear your concerns so we can address them quickly. If you have any other issues, please dont hesitate to contact us. Have a great weekend Dustin! Its alright. No problems with the staff, but some of the other tenants are loud and messy. The building's design unfortunately allows me to hear the other tenants at night. Hi Griffin, Thank you for taking the time to leave a review. We love hearing from our residents. If there is ever anything we can do for you, please reach out by phone at 502.632.3699 or email nineliving@achliving.com. If ever the noise gets too excessive at night, we have on call CAs available 7 days a week. Feel free to reach out! Community is okay. I wish I knew about the train right out my window before signing the lease and a little expensive for 4 people. Also when there are football games on campus parking is crazy and there’s is no where to park on the street. Thank you for choosing us as your home and for taking the time to share your opinion with our future residents. Our rates are comparable to the options around us, we strive to have fair market rates. Parking on or around campus during games is tough, we do love our sport teams! You may contact our leasing office directly with any concerns at 502.632.3699 or send us an email at nineliving@achliving.com We will do all that we can to make your living experience the best it can be. Loved touring the Nine and was not for a second hesitant to sign my lease. I’ve heard nothing but great things and love the central location to campus. I made the right choice! I enjoy living at the nine. The staff is great. The amenities are great but I don’t take advantage of them. I really enjoy the resident events. They let us meet new people and have a good time. We are so proud of The NINE at Louisville and thrilled that you love living here! Thank you for the GREAT review! If you need anything, please feel free to contact us! Our management office is open Monday-Sunday. Call 502.632.3699 or email nineliving@assetliving.com We’re here for you! Very OK place to live. Not a very welcoming or helpful staff. The fitness center is pretty nice. I also enjoy how close it is to campus. The elevator is super slow also and the fire alarm goes off way too much. Hello Addison, Thank you for taking the time to give us your review. I'm shocked to read our staff isn't welcoming or helpful, I definitely don't want that to be your experience. Please contact me at your convenience to discuss how we were not able to help you and to discuss what we can do to make your experience better. Feel free to email me, JT Stinnett at jstinnett@achliving.com or call 502.632.3699. I am happy you love our fitness center though! They Have a lot of cool events that happen based on holidays or just for fun.I really like that about the Nine. I am leasing for my second year now. Hi Sarah, Thank you for your review! WE are so glad you enjoy living here and love the events we have. Got any ideas for other events please share, we are always open for awesome ideas. If there is anything we can do for you please dont hesitate to contact us by phone 502.632.3699 or by email nineliving@achliving.com. The place is ok the issue with my lock was a bit time consuming but overall being able to be close to campus has been very nice. Also i had no option but to move into a unit with a balcony when it doesnt really matter to me. It has been amazing, no complaints! The staff are really wonderful and always greet you with a smile. The room is nice. The layout of the whole building is nice also. Have not had many complaints living here. Rooms are nice and staff very friendly. Hallways pretty much clean other than random occasion. Rooms are big and not very noisy. The nine has had issues, but they always tried to make it right. They may not be perfect, but they try to fix the wrongs. I think that’s really important in making a decision on where to live. We are so proud of The NINE at Louisville and thrilled that you see it too! Thank you for the taking the time to review! If you need anything, please feel free to contact us! Our management office is open M-F 10-7. Call 502.632.3699 or ninelouisville@achliving.com We’re here for you! The Nine is awesome. The service here is great the people are so nice and helpful. The experience is like staying in a 5 start hotel, but instead of a week it’s 5 months. good nice great work. I have a nice time going to the nine an sleeping there. It is good great nice stuff I enjoy eating there and working out and roommates are always fun. My experience here has been great! I love how conveniently located The Nine is. The staff is amazing! I would recommend anyone to live here. It's pretty nice here. Really wish there wasn't much noise from the trash people early in the morning, but I don't think that can be controlled by the property. The nine is nice and I love the people but it’s super pricy. I appreciate the parking garage but the price is a lot. I would recommend for future residents.